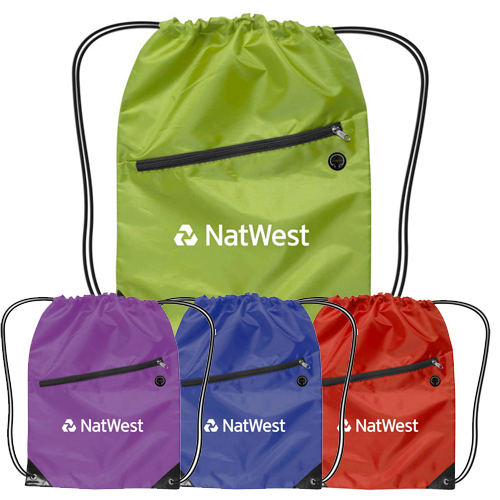 Lightweight soft constructed flexible backpack made of 100% non-woven soft textured polypropylene is durable, water repellent and reusable. Features contrasting 1" reflective stripe on each side (bounces back light from 50 feet away) black draw cord with reinforced corner grommets and carry handle with cinch closure. 2-tone contrasting black panel accentuates the gray reflective stripes on each side. Product Size: 20" H x 16" W.
This is a lightweight soft constructed backpack. 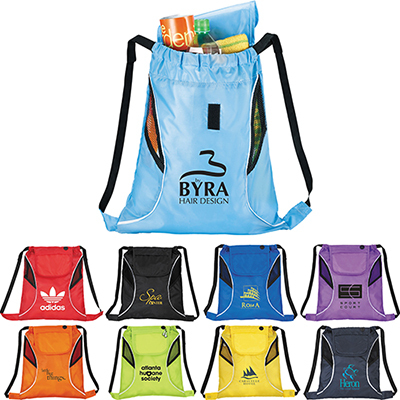 Looking for a promotional gift item? Get set for a day on the road with the Promotional Magellan Reflective Stripe Backpack. The reflective stripes on the bag make it essential for bikers. 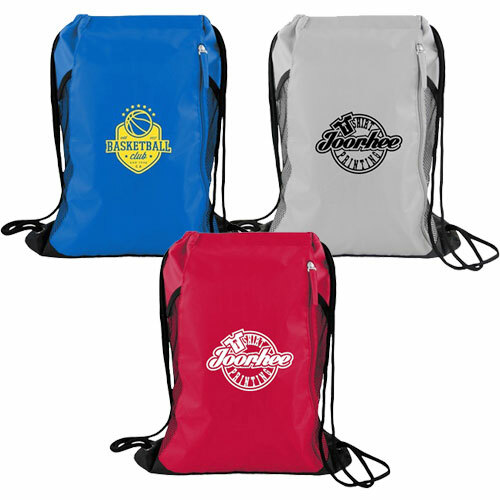 Get your logo on these custom imprinted bags and see bikers carrying your bag around. This product is even lightweight and easy to carry. Order now and build your brand among your clients. Order today! "A great accessory and the reflective stripe is a cool feature. " "This backpack is lightweight and durable. A great buy! " "I am glad I ordered this lightweight backpack. My logo looks great on it." Durable backpack with reflective stripe!